There is good news in the air – that the 155 mm/52 calibre tracked self-propelled gun system, K9 VAJRA-T will be entering service in the Army by end of this month - May 2018. Being produced by Larsen and Toubr (L&T) at their production line at Hazara in Gujarat, in conjunction Hanwa Tech Win (HTW) of Republic of Korea (ROK), the K9 VAJRA-T is a variant of K9 Thunder which is considered world's best 155mm/52 cal.SPH in terms of number of systems in active service at home and abroad – over 1000 units in active service. K-9 Thunder's characteristics include: all-welded steel armour capable of withstanding 14.5 mm armour piercing rounds, 152 mm shell fragments, and anti-personnel mines; main armament of 155 mm/52 caliber; maximum firing range of 40 km; 1,000 horsepower (750 kW) engine with potential for growth; mobility range of 75 km and; CBRN protection. In November 2010, K9 Thunder howitzers helped ROK repulse a surprise attack by North Korea. ROK has sold the K9 subsystems to Turkey., Turkey receiving first batch of the K9 subsystems with transfer of technology (ToT) in 2004 in a $1 billion deal. Turkey was expected to field 300 indigenous versions by 2011. In 2016, Finland announced procurement plans for undisclosed number of used K-9 Thunder from ROK. Estonia has also confirmed its decision to purchase K9 Thunders. Egypt began evaluation trials for K-9 Thunder in 2017 and is expected to sign a contract this year. L&T, along with its ROK technology partner HTW, had bid for the 'Buy Global' acquisition program for howitzers of India's Ministry of Defence (MoD) in 2011. The four bidders who responded were all put through a series of extensive user evaluation trials. In September 2015, L&T emerged as sole qualified bidder and finalist based on the performance of the K-9 Vajra-T; the 4,500 cr ($800) million contract being for supply of 100 howitzers to the Indian Army. The MoD had given the contract to L&T in May 2017. Under the contract, L&T was asked to deliver 100 guns, which should have over 50 per cent indigenous components, in 42 months, from its manufacturing facilities, including establishing a new Armoured Systems Complex at Hazira in Gujarat. Under the contract, L&T is delivering 25 guns now to the Army. According to Jayant Patil, Director (Defence) of L&T, "We (L&T) have already developed the gun and are ready to deliver. We have developed 25 guns within the time frame given by the government. It has already undergone all necessary trials and tests. The rest will be delivered also on time." The K-9 Vajra-T is a major success of the 'Make in India' initiative. The time-frame itself proves that our future defence manufacturing plans should be primarily based on private enterprises, as is the practice in countries with modern armies, rather than relying mostly on DRDO. Compare the timeframe for development of the K-9 Vajra-T with the INSAS 5.56 assault rifles by the DRDO, where 17 state-of-the-art 5.56 assault rifles from 11 countries were handed over to DRDO in 1980. It still took 15 years for DRDO to develop the INSAS which was nowhere close to the top 10 assault rifles available off-the-shelf. The Nag missile, much in the news today, also took 30 years to develop. 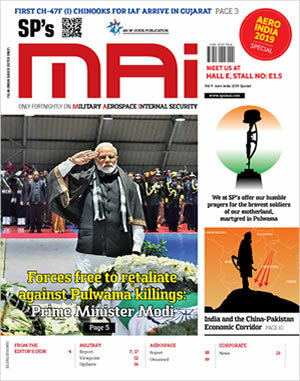 It is not that DRDO has not had success in patches, but it is the tendency to grab everything in a bid to make money through commercialization that divides focus, evading brilliance. Getting back to the K-9 Vajra-T, other than the Bofors, the Indian Army had not inducted any howitzer into the artillery past several decades. Despite several modernization plans, no howitzer could be selected for various reasons. In case of Bofors too, supply of assemblies and spare parts were hated due to the 'Bofors Scandal' and during the Kargil Conflict Army could just cannibalize 100 Bofors guns out of the 400 procured. Unfortunately, DRDO merrily sat on the ToT bought with the Bofors imports, to indigenously produce the Bofors guns. Army anyway was at disadvantage vis-à-vis Pakistan in the desert sector. This void is being filled by the K-9 Vajra-T, which is specifically designed for the desert sector bordering Pakistan. It offers greater mobility, longer range, higher rate of fire, and increased battlefield survivability, as it can quickly be brought into action, open fire, and come out of action. It is less likely to be engaged by counter-battery fire, by relying on shoot-and-scoot, and of course can operate in CBRN environment. The K9 VAJRA-T meets requirements of 21st century warfare, based on: deep fire support with its longer firing range; qualitative superiority to overcome a numerical inferiority with its higher rate of fire and accuracy and effective and reliable fire support in all kinds of circumstances with its higher mobility and protection. These gun howitzers will certainly add considerable punch to the Indian Army.